At Fredrickson, Mazeika and Grant, LLP (FMG), we specialize in the area of Pharmacy Law and seek to provide our clients with the very best advocacy available to the California State Board of Pharmacy as well as issues that fall into litigation. This article discusses the process of resolution surrounding licensing decisions including a denial of licensing application. The pharmacy law in California regulates individuals and entities involved in dispensing, shipping, storing and procuring prescription drugs and devices. The California State Board of Pharmacy is charged with the task of enforcing the pharmacy law and, as part of that mission, it is given oversight authority for the granting of licenses to pharmacies, pharmacists and pharmacy technicians. The denial of licensing application can effectively put a company out of business, or it can end the career of a pharmacist or pharmacy technician. There is, however, a process in which an applicant can appeal a decision by the Board of Pharmacy denying a license. An applicant must file a written appeal of a denial of licensing application within 60 days from the date the notice of denial is received. Failure to abide by the 60-day time limitation results in the right to appeal being treated as waived by the applicant. Applicants must wait one year from when they received the denial before reapplying for a license. If the denial of licensing application is not overturned on appeal, the applicant cannot reapply for at least one year. The board is represented at the appeal by legal counsel who is trained and experienced in handling these types of proceedings. Retaining an attorney who has experience handling administrative hearings before the board gives appellants trusted advocate to rely upon. Prior to the hearing, the appellant is provided with a list of the reasons for the denial of the license. This document, referred to as the “statement of issues” is sent prior to the hearing, so the attorney for the appellant can review it in preparation for the hearing. Each of the parties makes an opening statement before the evidentiary phase of the hearing begins. Evidence in the form of testimony from witnesses, documents and other proof they believe to be relevant and supportive of their position is offered by each side. The administrative law judge does not issue a decision on the appeal at the hearing. Decisions in licensing hearings must be in writing, so at the conclusion of the hearing, the administrative law judge will take time to review the evidence before preparing his or her written decision. The best decision an applicant can hope for is one reversing the denial of a license. However, a decision affirming the board’s denial prevents the applicant from reapplying for one year computed from the receipt of the judge’s decision. Applicants denied a license should discuss their options with an attorney experienced in handling appeals of California Board of Pharmacy decisions. One remedy might be found in an administrative mandate that brings the matter before a state court under the California Code of Civil Procedure. We would be pleased to consult with you on the denial of a pharmacy license or any pharmacy law related issues. 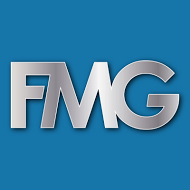 Please contact FMG today so we can assist you with your questions. Fredrickson, Mazeika & Grant, LLP, is a full service law firm with offices in San Diego, Las Vegas, San Francisco and Los Angeles. The firm’s specialty areas include construction law & construction defect, products liability, personal injury & property damage, business & real property transactions, business litigation, transportation litigation, pharmacy law, environmental/toxic tort claims, insurance law, real estate & land use litigation, equine law, and general civil litigation. Where Does Fair Competition End?